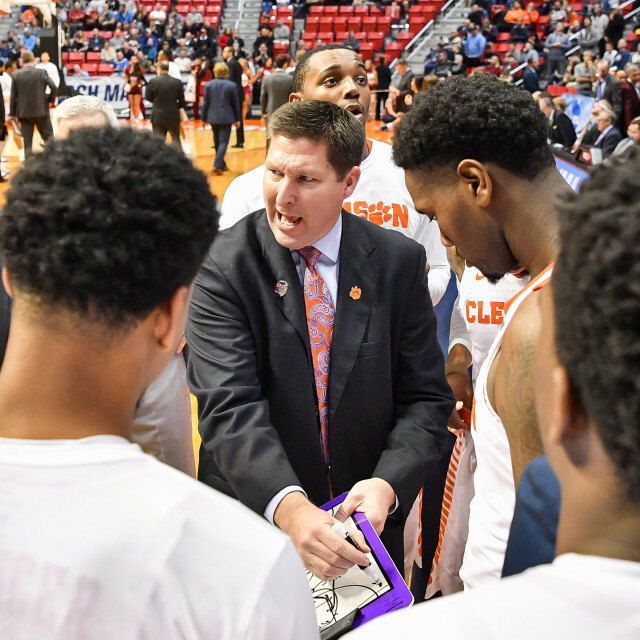 CLEMSON, S.C. — Head coach Brad Brownell and his staff added three players to the Clemson University men’s basketball program on Friday. Trey Jemison, Hunter Tyson and John Newman III all signed national letters of intent to play for the Tigers beginning in 2018-19. Jemison, a 6-11 center from Birmingham, Ala. He is a four-star prospect and ranked No. 1 in the state of Alabama and is No. 12 in the country at his position, according to ESPN. Jemison chose Clemson over Auburn, Alabama, Harvard, Georgia and Georgia Tech. Last season, Jemison averaged 19.0 points, 15.0 rebounds and 5.0 blocks as a senior at Hoover High School. For his career, Jemison averaged 15.0 points, 12.0 rebounds and 4.0 blocks across his games played at Homewood and Hoover. Tyson, a 6-7 forward from Monroe, N.C. is a four-star prospect. Tyson is ranked the No. 8 forward in the state of North Carolina by Phenom Hoops and ESPN. According to ESPN, Tyson is ranked 34th nationally at his position. Tyson chose Clemson over Michigan, Davidson, Tennessee and Wake Forest. Last season at Piedmont High School, Tyson averaged 27.1 points, 9.1 rebounds, 2.7 assists, 1.5 steals and 0.8 blocks per game. He scored 704 points as a senior and shot 46.0 percent from the field. Newman III, a 6-4 small forward from Greensboro, N.C. is a four-star prospect that is. According to Phenom Hoop Report, Newman was ranked No. 5. In the state of North Carolina. According to ESPN, Newman is ranked 42nd at his position nationally. Newman III chose Clemson over Providence, Wake Forest, Georgia Tech and Boston College. Newman III led his team in scoring and scored 24 points and was named MVP of the NCISAA 3A State Championship game. He was selected to the NCISSA All-State team for the second consecutive season and was named to the PACIS All-Conference team for the third-straight year. He is a three-time state champion. Newman III finished with 1,400 points, 500 rebounds, 200 assists and 100 steals in his career at Greensboro Day School.